I'm still telling the story! Enter your email address to follow this blog and receive notifications of new posts by email. My day job is novelist. Click on the picure below to go to my author website. Waiting for a table in a noisy restaurant, surrounded by friends and family. This post is long overdue, and I blame it on the unexpected side effects of new hearing. To recap: In the old days, no matter how badly I wanted to socialize or participate in the activities I cared about, I simply could not hear well enough to keep up. I applied myself again and again, but even if I heard scraps of conversation or bits of meetings, I never got the punch line or the point because for some universal reason it was always delivered in a different tone/pitch/volume/direction. Eventually, the cost—in energy—of forcing comprehension was insupportable and I had to stop doing the things that fulfilled me. No more lectures, meetings, or responsibilities that involved communication. No noisy restaurants or small talk—or people. I lived in fear of my disability. But then I got my cochlear implant, and shortly after activation I found myself—sometimes—getting the joke. Given favorable acoustics, I even bantered and took pleasure in small talk. This is not to say my hearing became perfect. I still have trouble in noisy places, seek a front row seat, and ask for captions. (And I once got in over my head in a hotel ballroom with a microphone and a podium and 105 witnesses). But believe me when I say my hearing is nothing like before. My husband says: It’s a completely different world. As a result of my CI, the vast amount of energy I once spent on comprehension, overloading my cognitive function to the extent of bankrupting my future sanity, is now freed up. The vast amount of energy I once spent on fear is now freed up. Which brings me to why I’m so late with this post: About five months after my activation, (fearless and full of new energy), I did something I hadn’t done in years, I attended a meeting for people who wanted to volunteer for a job. Most people sit on their hands, look the other way—or pretend they are deaf—when it comes to signing up for volunteer jobs. But after so much isolation, I was feeling a strong desire to reach out, raise my hand, and say YES. And it didn’t stop there; I reached out, saying YES to friends, lectures, concerts, meetings, big jobs and little jobs, cocktail parties, restaurants, and an entire new Dallas literary scene that had blossomed while I was gone. I gorged on participation and connection. I don’t want to get carried away here, but the sheer joy of rejoining my world where I am able do the things that fulfill me, is what I imagine breaking free of a kidnapper would feel like, or dodging the Ghost of Christmas Yet-to-Come, or rising from the dead. And here’s the bottom line: I’m too busy to think about my hearing that way anymore. Except to remind myself that I must sit down and write this blog and bear witness to how the CI has transformed what I do every day of my life. 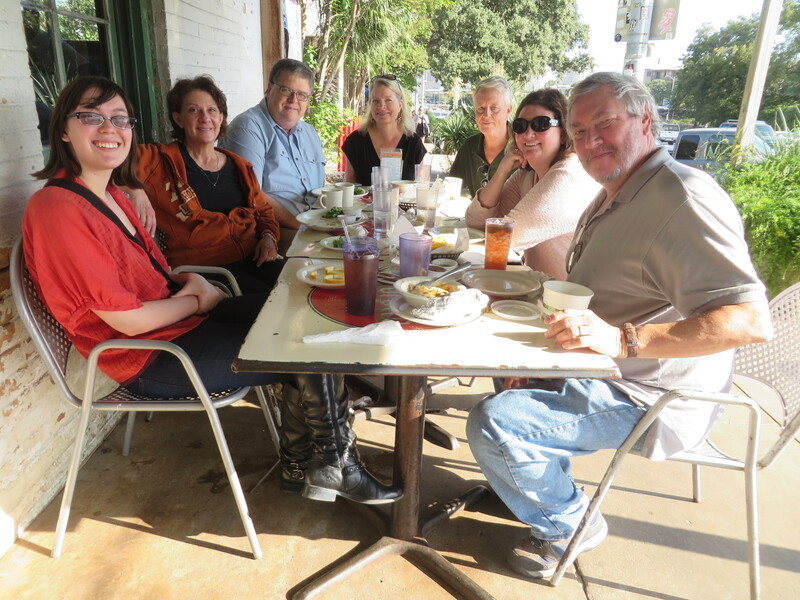 Breakfast in Austin with friends. In spite of traffic noise, I could hear even the young lady at the other end of the table. (That’s me in black at the end; my husband is next to me in the green shirt). Back in the days before I even knew about cochlear implants, I went to a very noisy cocktail party. I didn’t know many of the guests, so the struggle to hear and interact socially required a lot of energy. My strategy consisted of sticking next to my hearing-husband and letting him do the interacting while I stood there with a smile on my face. The trick was to not get separated from my husband. At first, everything went well. We found the few people we knew and caught up on their lives. Since my ears do not do the hearing for me, I stood directly in front of people and read their lips. The movement of lips, accompanied by bits of sound (not consonants, unfortunately) was sometimes enough to facilitate understanding. I relied on other resources such as my vision, memory, social cues, and body language. If I missed the beginning of a comment, I waited until something in context revealed the subject. I relied on my cognitive powers to process the clues and generate meaning. Since I knew these people, I was familiar with names, places, and things they were involved in. Constructing meaning from clues is exhausting, but possible. Our small circle expanded to include new arrivals, and our cocktail party group conversation began to seem like watching ping pong. The only way to keep up was to see each speakers’ lips at the moment they began to speak. Since people didn’t wait until I was watching their lips to begin speaking, I could not possibly keep up with the back and forth of group conversations. Asking for repetition would disrupt the flow and one repetition wouldn’t suffice. I’d have to ask them to repeat again and again unless they learned to face me every time they spoke. And that was not going to happen. So I ramped up my focus, pushed my concentration, and worked. I could not sustain this level of intensity for more than an hour, and I was reminded of research showing that constant overload of the cognitive function is thought to be a link to dementia. And then it happened. I found myself alone, face to face with someone I did not know whose lips I could not read because of his obscuring mustache. Not a single word. My husband was lost in conversation on the other side of the room and everyone I could have called on for hearing help was suddenly out of range. Ditching mustache man was not feasible given the logistics of the tiny crowded room. So you ask: Why not just tell him you’re hearing-impaired? Simple: Because I wanted to continue to exist. When they realize you are deaf, even the most generous people eventually begin to leave you out. And when you are left out, you are diminished. Not as smart. Not relevant. When they do address you, some talk to you as if you are very old, or very young, or not all there. You lose your dignity. Even sitting with my family in my living room in the evening, the chairs too far apart for me to hear, my children address conversation to my husband, and not me. I was slowly being buried alive. So the answer is: I would rather fake it than lose myself. So there I was, looking for loopholes in his mustache, processing the occasional vowel sound, searching my memory bank for connections to body language, facial expressions, and vocal inflections–anything that might generate a clue to his meaning. It was a risky approach and the longer I kept it up, the more ridiculous I would appear if he discovered he was talking to a deaf post. Soon, I was in too far to confess. And that was when he stopped talking and looked at me. At first I thought I was nailed, but then I realized he had just made a point. So I nodded. He started talking again. Depending on his expression, I responded to his pauses with vague affirmation, surprise, or a smile. I did not understand a single word he ever said. But I got lucky. He was one of those people who are so self-absorbed he didn’t realize I wasn’t hearing him. I shifted into park and relaxed while he carried on a one-way conversation. It was a win-win: he got to expound; I got to hang out in the hearing world as if I belonged. He never suspected, and I managed to coast for 20 minutes. While I survived that evening, cocktail parties were destined to go the way of lectures, meetings, restaurants, movies, and plays, because I couldn’t hear enough to justify the energy spent. When I went to see Dr. Peters and learned about the CI, I was on the verge of resigning from the hearing world. This is what I have to remember. Next time: How My CI and I Got Into Hearing Trouble Before an Audience of 100. 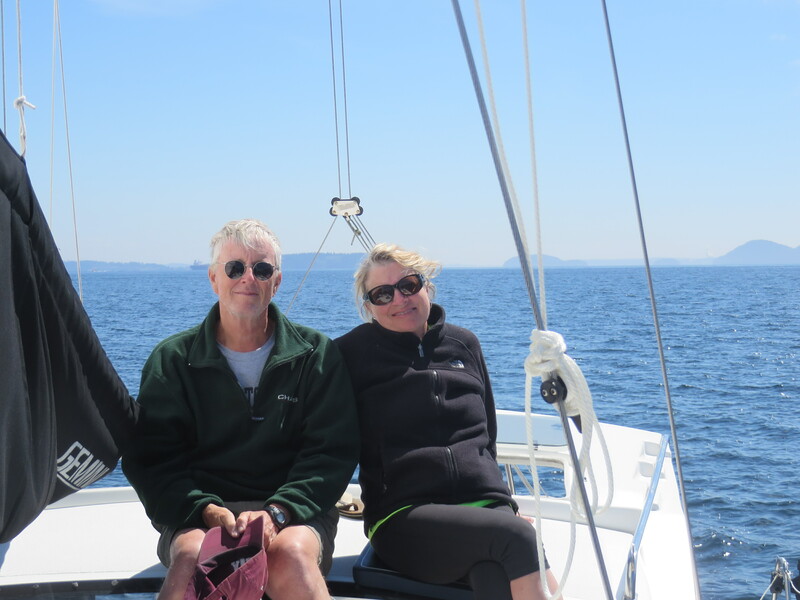 Sailing in the San Juan Islands this summer. Don’t worry, I removed my CI in high winds. I am writing this from the front passenger seat of a Honda Pilot where I am returning from summer vacation with my cochlear implant. And my family. Over the past six weeks my CI and I drove across the country, lived in a cabin, a tent, and a boat, hiked, sailed, and sat around a campfire. I am happy to report we are still in a relationship; my CI and I have proven to be compatible. And my family had a blast. I learned a few things over the summer, such as sounds are much closer in a tent, the cabin of a boat, and national park restroom facilities. For example, within the close confines of my car, little noises like crumpling a Subway wrapper sound like glaciers crushing mountain ranges. A sneeze sounds like smashing china plates against a canyon wall. 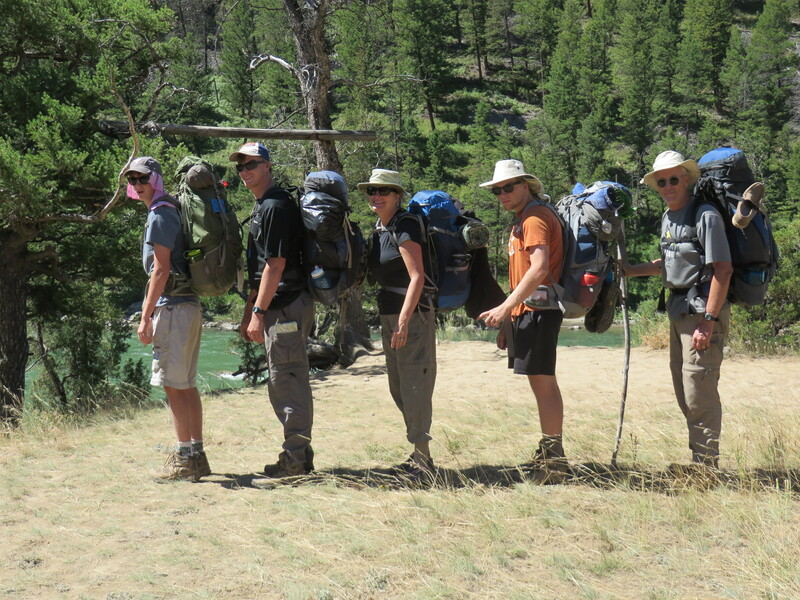 That’s me in the middle with husband and three of four sons on backpacking trek in Yellowstone National Park. My CI fit securely under my hat and sound was just the same. If I could have found the remote control for my CI I would have adjusted my device to account for the close confines, but the remote was so deeply buried in my purse somewhere on the floor of my car under book bag, maps, water bottles, iPads, hats, and a week’s worth of freeze-dried dinners for back country treks. Finding it would have required effort needed for hauling all that stuff to remote camping spots where we trekked to get away from things. As you would expect, sounds return to normal in a forest, on an island, or in a motel room. Next to the remote control, the best car trip feature of my CI is it’s removability. Who else in the car can take their ears off? Time for a nap? Turn it off. Kids whining? Can’t hear you. Marital spat? Who needs it? Best of all: I don’t have to listen to the Beastie Boys. Ever. Although my CI (a Rondo) fits securely beneath all of my hats (and works just the same under a layer of hat), I sometimes removed my electronic ear for its own protection: high winds, treacherous river crossings, etc. A big wind or a flying sail could whip my hat off my head and toss my precious Rondo into a canyon or body of water. I tried wearing my behind-the-ear model (for the first time) but it got mixed up in hat’s chin straps as well as the strap holding sunglasses so rather than risk losing it, I went without. Amazing how well sound carries on the water. In the car there is plenty of time for CI training and, for those of us whose children might need a nudge with summer reading, you can kill two birds with one stone. Reading aloud is the perfect CI training exercise; the eyes see the word, the mouth speaks the word, the brain hears the word. The brain and CI make the connection and the student finishes summer reading assignments. When my son was struggling with Silas Marner, I read him through the difficult parts until we were both hooked on the story and finished reading it together. So in the future, when my brain hears words like: summat, fiddlesticks, and mawkin, it will instantly recognize, if not comprehend, the words. My vertigo is barely noticeable nowadays, and then only first thing in the morning which makes waking in interesting places a bit risky, such as a steep cabin loft ladder, a tent with multiple zippers and flaps, or the leap from boat to dock. But vertigo only presents on waking. All subsequent motor dysfunction is my own. In traveling to places and seeing people I haven’t seen since before the CI, I noticed I was engaging more in group conversations, making comments. I don’t know if they noticed a difference but I did. This is bad and I’m not sure if I should tell, but I’ve noticed that a couple of times when I was busy or preoccupied I leaned on my old deaf handicap and didn’t bother to respond when I heard someone talking to me in a non-urgent tone. It wasn’t exactly conscious, but I let them think I just didn’t hear. I need to get over this! I found myself seated in a not too noisy restaurant–engaged in conversation with more than three people. And I found myself seated around a DARK campfire, getting a joke! Who, me? 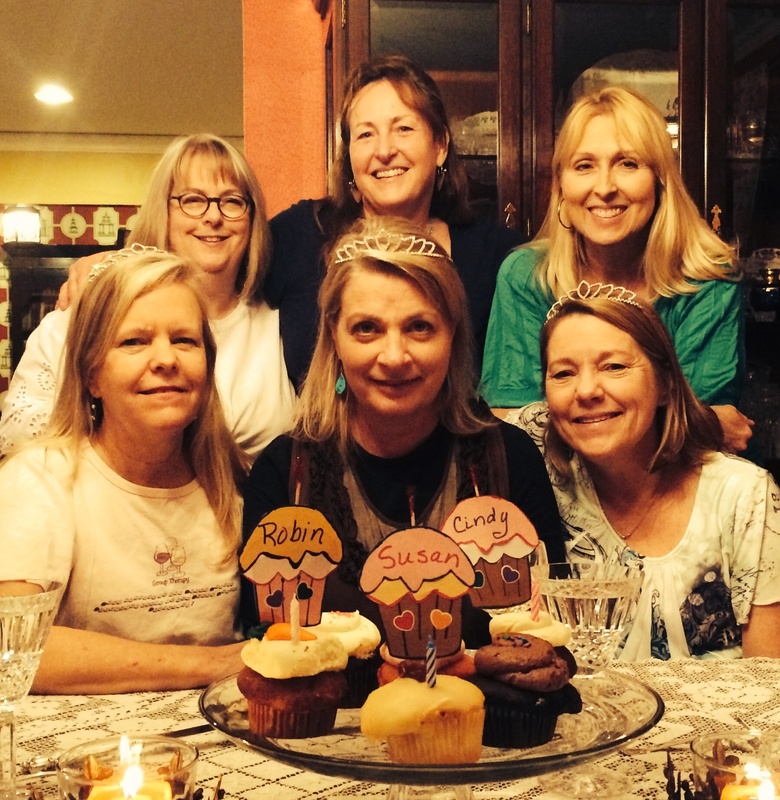 Celebrating summer birthdays with friends: I heard everything without straining. I arrived at a meeting of the Cochlear Implant Support Group alarmed to discover I was not wearing my device. The battery had died as I was preparing to leave home but I didn’t have time to change it. Did the device fall off when I changed my shirt? But I didn’t change my shirt. Maybe when I brushed my hair. Still sitting in my car, I looked in the rear view mirror and couldn’t tell if my hair had been brushed or not. I sat there debating the relative merits of struggling to hear a lecture on the link between hearing loss and dementia, or retreating home and taking the rest of the night off. I decided this was a lecture I needed to hear. In the last months before my implant surgery, when my hearing was so bad and my isolationist impulses at an all-time high, I almost became a person who would rather stay home than fight the losing battle to hear. Turns out, isolating myself was the closest I came to positioning myself to be a candidate for the link to dementia. The other links are having a genetic predisposition, and suffering from cognitive overload (what point was I trying to make?). At my last session with my audiologist, instead of being conservative about volume, I kept going. It didn’t hurt, so why not crank it up and discover my true upper limits? I instructed my audiologist to keep adding volume until I couldn’t stand it and then went back down one level. My audiologist evened out the pitches, talking to me all the while so I could test my new “map”. It seemed fine. I walked into Medical City’s atrium just as a herd of attack dinosaurs were passing through which turned out to be one crying baby. This was my first clue I’d demanded more volume than I could handle. Nevertheless, I pushed on, confident I could make this work, remembering how quickly I’d busted through programs of increasing volume in the beginning, and ignoring my audiologist’s observation that I had probably reached the point where I wouldn’t be adding much more. Outside the hospital was better although my turn signal sounded like it was coming from a place inside my left eyeball and the road noise sounded like I was driving directly beneath the Death Star. Later, driving to the lake house with my family, they kept forgetting to WHISPER and someone in the back seat kept CRINKLING a chip bag that made a sound like shredding glass. Although I thought I had made it clear that my husband’s seatbelt reminder beep was driving stakes through my skull, he let it happen a second time!! By 5 pm when I was close to strangling everyone within reach I conceded defeat and removed my device. Once I recovered, I discovered ways to lower volume and increase the sensitivity bubble so that I could wear it again. 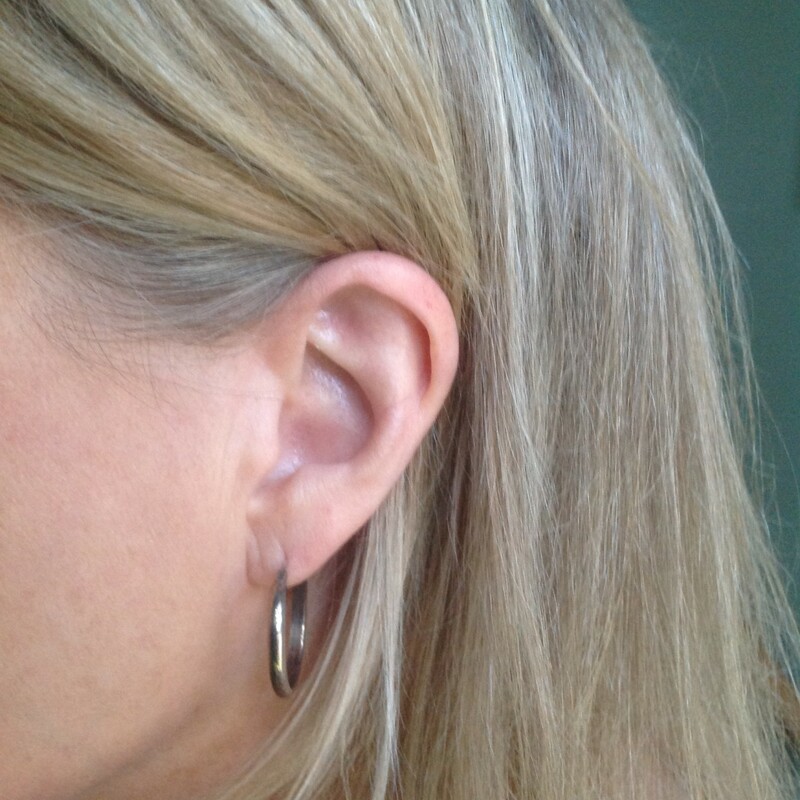 My dear audiologist came in early Monday morning for a re-do and I solemnly swear I have learned my lesson. I talked with a person behind a counter. Small talk. I continued to talk with her because it was easy. I could hear her without straining and struggling. It was something I haven’t experienced from small talk in a long time: pleasure. Listening to the radio showed me my CI can hear women’s voices better than men. My experience with hearing aids was always the opposite. I attended a Med-El workshop and met Scott Hansson and Keri Reynolds. I learned that there is a good way to train my CI ear and a not-good way to train. They gave me lots of resources and I’m going to go “workout” as soon as I finish this post. Life moves on. No time for bad ears. CI sound is becoming more natural: the clinks and clanks disappeared when I wasn’t thinking about them, the cowbell is no longer attached to every sound, and noise has stopped wearing chain mail in my head. Although there is still an extra hum of reverberation and problems with understanding, CI sound is getting better. Gloria Buckley, my hearing aid audiologist. In order to help my good ear keep up with my former bad ear, Gloria, my audiologist (for my right ear), increased the volume in my hearing aid. (Thank you!!) See how many people it takes to help one person hear? I’m fortunate to live in a place where such a talented and devoted team is available to me. Then just when I was thinking I was hot stuff in the hearing department, Linda, my auditory-verbal therapist, asked if I was ready for some phone training. (Helen Keller is lucky Annie Sullivan didn’t have a cell phone). Linda called me from another room in her office and my CI ear had to answer the phone all by itself. The exercise was difficult and stressful and demonstrated there is listening practice to be done! My dental hygienist talked to me from behind her mask. Before, without exception, whenever she wanted to speak to me she had to lower her mask so I could read her lips. This time, I understood every word she said and she never once lowered her mask. What’s more, we chatted a lot. But here’s the kicker: my blood pressure was improved (it had been running high). Can I credit my improved hearing with lowering my blood pressure? I can hear the faint jingle when shaking a broken light bulb near my Rondo. I. Am. Not. Kidding. My eight-year-old niece spoke to me in her little girl voice and I understood her. On the other hand, my four sons who have been “under the radar” for years have found it necessary to lower their volume around me. Who knew birds made such a racket? They were so loud I thought surely I would be able to hear them without my CI device, but when I took it off, the birds went away. On the other hand, I can still hear the frogs at night without my CI. Had to remove my hearing aid and go completely deaf in order to concentrate on my reading. 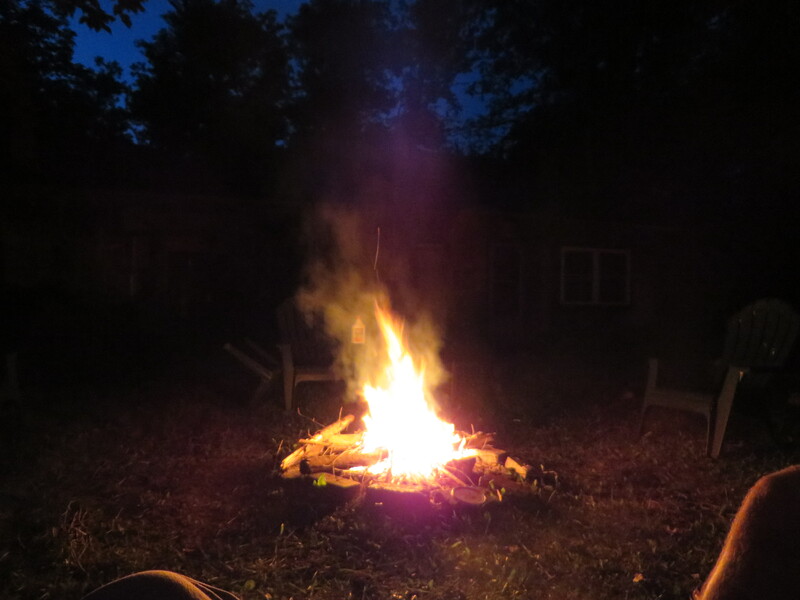 (husband had to hear frogs all night). 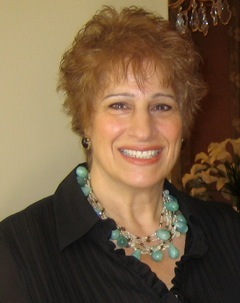 Allow me to introduce Linda Daniel, my audio-verbal therapist. Think: Annie Sullivan. I can’t decide if I’m in recovery or on a honeymoon; perhaps both. The novelty of hearing so much sound is not wearing off and the idea that it could get even better keeps me working at recovery. I spent the weekend at my son’s crew regatta in Tulsa hanging onto my husband for balance. Walking on uneven river bank I was reminded of the Carole King song, I feel the earth move under my feet–but not in a good way. It’s as if my vision is processed through a hand-held video camera: first I move my eyes and then, an instant later, everything inside my head follows. And then back again in the other direction. But let’s consider the bright side: three weeks ago I would have made sure my husband walked on my right–so I could hear him with my good ear. Now I make sure he is on my left–so I can hear him with my former bad ear, which is now, in many ways, my new good ear. What’s a little temporary vertigo compared to that? I understand now why activation is normally scheduled for three weeks after surgery. After only two weeks, the scar behind my ear is too tender to wear my sunglasses, so wearing a behind-the-ear processor would be painful. Lucky me, this is a non-issue for my Rondo, but I am using a stronger magnet (number 3) to keep it securely attached to my still-swollen scalp. The head needs time to heal in order to accommodate the devices. I met with Linda Daniel, (see photo above), an audio-verbal therapist who knew as a small child that she wanted to work with the hearing impaired, facilitating communication between mothers and babies born without hearing, and helping children and adults adjust to their implants. Imagine Annie Sullivan working with Helen Keller. For me, working with Linda is like having a personal trainer for hearing with Linda encouraging me to do listening exercises (which is like doing sit-ups) and me doing them as long as she is there to encourage (enforce) me. I went to the Dallas Symphony, a little apprehensive, afraid that concerts my husband and I enjoy would no longer be feasible since I’ve heard music is not so good through a CI. To my delight, I could hear the flutes. Music is better. After only two weeks, music is good. My first Girls Lunch I was excited to demonstrate my improved hearing and show my friends how much easier communication would be going forward. Unfortunately, lunch happens in restaurants where we have group conversations–two things that will always be troublesome for me. So, while a girls lunch is always fun, it was not the best place to impress my friends with my new ear. Everyone sounded a little snarkier to me this week, the result of too much bass in my “map” (I sound like I know what I’m talking about…) which Leslie, my audiologist, corrected with a click of her mouse at my two week appointment. I’ve noticed that I am refusing to say the word ‘what’ and this is causing a little trouble for me. I’ve told myself the word ‘what’ is for people who can’t hear, and now that I’ve been auditorily transformed, I want to erase that word from my vocabulary. When someone speaks to me and I don’t understand, instead of saying ‘what’, I say nothing and wait it out. Some people, faced with silence, automatically repeat themselves, others don’t. I confessed the whole thing to Linda Daniel (my audio-verbal therapist) and she reminded me that cochlear implant hearing is not a replacement for normal hearing. I still need the word ‘what’. I know I need to get over myself. I understand how Sandra Bullock felt inhabiting her gravity-free environment. I’m still dizzy. Getting around the house is like inhabiting my own gravity-free zone and I am reminded of Sandra Bullock in the film Gravity where she spun out of control and propelled herself through space, one hand-hold to the next. I’ve been walking around with my hands out to ground myself on walls, handrails, and husband. Dr. Peters said it might take a few weeks to resolve but the best way to work through it was to stay active. As in, don’t lie in bed and wait for it to go away. No problem there. I had scheduled my son’s wisdom teeth extraction for a week after my surgery, and just as soon as he was recovered enough to bite into his chocolate Easter bunny, my mother fell and broke her arm sneaking out of church early. I will not be indulging any all-day morning sickness! Mashing bananas for my son and driving my mother to her orthopedist made me forget all about my hot flashes, achy scar, swollen head, and my tendency to list to starboard. My One-Week post Activation Appointment. If there is one thing I hate it’s a hearing test and Leslie, my audiologist, said I could opt out and take it later, but I soldiered through. This is my result: The hearing in my new ear is equivalent to the hearing of someone with a mild hearing loss. That is, I can hear about 80% of all sounds. My understanding is 40% which, if you consider it used to be 6%, is astonishing. And Leslie reminded me it was only two weeks post-op; I wasn’t even supposed to be turned on yet. My first morning out at the dentist’s office was challenging and full of new listening exercises but already I could tell my new ear was carrying some of the hearing load. I never felt overwhelmed or wanted to take it off for a rest. I wore my black eye to church on Easter Sunday and in spite of arriving late, sitting in the back, and being totally distracted I kept hearing fully-formed words like EaSsster, DamaSssscuSs, and diSsssciple. The words came to me clear and precise, I didn’t have to strain, especially the words with Ss. I actually heard the warning sound when the batteries were going out on my device (Leslie said I might not). I cranked up the volume. Leslie gave me four programs of increasing volume and said I would move up as my brain made progress learning to hear electric impulses. I discovered that when I started to strain to hear, I could switch up to the next program and get a fresh boost of sound, a great feeling. So I’m a volume junkie. Yesterday’s hit of sound isn’t enough. I need more and more to get the same great hearing. The good news: there seems to be an endless supply of volume. If endless volume isn’t good enough, there is no feedback and no plugged feeling that I got from hearing aids. All that stuff is so last ear. I no longer hear the snap, crackle, pops that were going off in my head before activation, however, sound does seem to be wearing chain mail, with cowbells attached. I heard everything said to me in my mother’s doctor’s office, from the check-in person to the nurse to the doctor to the check out person who did not move her lips when she talked. The words came and found me and I didn’t have to work. I asked my husband if he could tell a difference in my hearing and he said, yes. His life is easier, too.